Apple just announced the Best Apps and Best Games of 2018. But, they forgot a critical piece of information for the lists to be meaningful — the actual downloads. 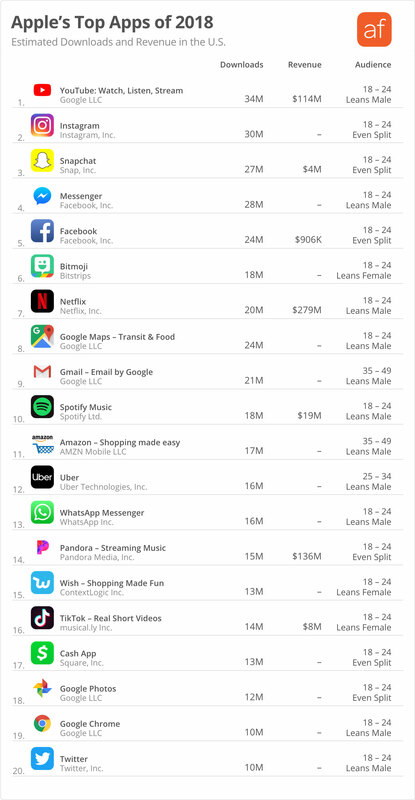 In this report we’ve taken Apple’s Best lists and overlaid our Market Intelligence data over them so you can see what being a “best app” means for downloads and revenue. Note: Downloads and revenue are estimated for the United States and only include the first 11 months of 2018 (not December). 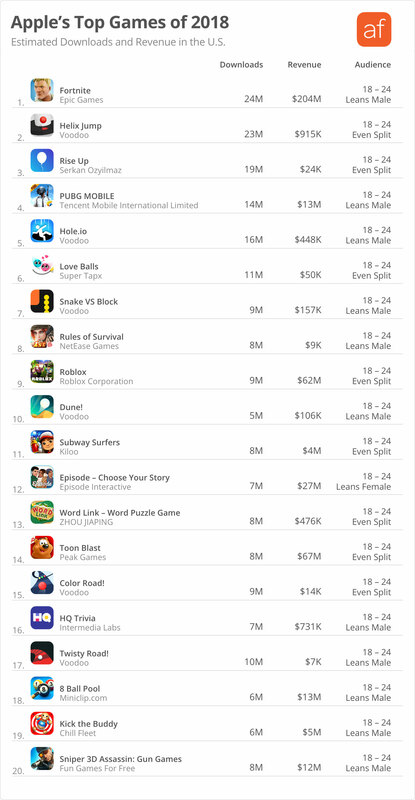 Some apps, especially games, monetize outside of the App Store (with ads, etc) which our revenue estimates don’t include. Revenue estimates are net of Apple’s 30% fee. Download estimates do not include educational downloads. Audience age demographics refers to the largest group of users.